In the chaotic mess that is American Mideast policy, one scandal stands out for its longevity and brazenness. Longevity, because it has festered under both Republican and Democratic administrations. Brazenness, because instead of keeping the problem at a shameful arm’s length, many of our political leaders evade its nature and eagerly look for opportunities to whitewash the problem. I speak of America’s amoral alliance with the Islamist monarchy of Saudi Arabia. When in 2017 President Trump set off on his first foreign trip, he chose Saudi Arabia as stop number one. Like Presidents Obama and Bush before him, Donald Trump bowed before the Saudi king. Hardly a pioneer in cozying up to authoritarian Mideast leaders (the Bush clan were particularly friendly with the Saudi royal family), Trump hailed the US-Saudi relationship, and he emphasized the newly signed deal to sell the Saudis upwards of $100 billion worth of American weapons. The crown prince has enacted some changes — and promised various others — that deserve note. Among these: Women are now allowed to attend soccer games. The Saudi regime has permitted movie theaters to open their doors again. And, finally, in the waning years of the second decade of the twenty-first century, Saudi women are allowed to drive cars. It’s important, albeit shocking, to recognize that these developments are indeed advances. And we should welcome these changes, because they lessen — if only ever so slightly — the Saudi regime’s oppression of its people. But the fact that these are advances is profoundly revealing of the Saudi regime’s nature. Saudi Arabia is an absolute monarchy defined by Islamic totalitarianism. It is a political system set up to subjugate. 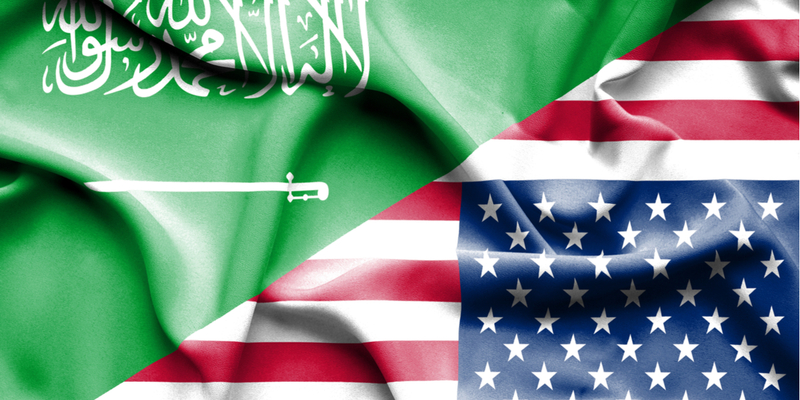 To appreciate the perversity of America’s approach to Saudi Arabia, take a closer look at the nature of that oppressive regime and some implications of our evasive approach. Our loyalty should lie with those who genuinely seek and fight for greater freedom in Saudi Arabia — the ones that the regime crushes underfoot. But by allying with Saudi Arabia’s Islamist monarchy, we betray our own ideal of political freedom and sell out the regime’s victims — thus conforming to a wider pattern in America’s Mideast policy. Fundamental to America’s approach is a failure to properly evaluate the Saudi regime and take seriously its horrendous character. Saudi Arabia is an absolute monarchy defined by Islamic totalitarianism. It is a political system set up to subjugate. The Kingdom of Saudi Arabia differs markedly from Europe’s few remaining monarchies. For example, there’s still a monarch in the United Kingdom, where I grew up, but Queen Elizabeth II is a figurehead. The royal family are a kind of living, breathing tourist attraction. Politically, the British monarchy is a vestige of the country’s cruel, barbaric, medieval past. It lingers on at the periphery of what is essentially a free, modern, scientifically advanced society. Not so with Saudi Arabia: although its leaders invest in the trappings of modernity and technology, seeking to present a forward-looking, welcoming face to the outside world, at the core its political system is cruel, barbaric, medieval. The king of Saudi Arabia actually runs the country. Assorted princes serve in ministerial roles and as ambassadors. The present king, Salman, is steps from the grave, so he needed to pick a successor from among the teeming ranks of the royal family. After some actual court intrigues, he picked his son, Mohammad bin Salman, who has effectively taken over. By design, the king’s subjects have no say in the direction of the country, no power to select their leader. Regardless of what they believe or judge best for their own country’s future, there’s no legal way for them to change their government. The role of Islamic religious law, or sharia, is foundational to the Saudi monarchy. The royal family draws its legitimacy partly from its status as the custodian of two of Islam’s holy sites, Mecca and Medina. Islam is not merely one religion that Saudis can choose to live by; to be a Saudi citizen, you have to be a Muslim. Islam is the official state religion, it is funded lavishly, and it is the source of the law. The regime compels its subjects to obey religious dogma. During the month of Ramadan, for example, when Muslims fast during daylight hours, it’s forbidden in Saudi Arabia to eat, drink, or smoke in public. To enforce obedience, the Saudi regime (like Iran) has deployed an actual “morality police” that seeks to prevent vice (e.g., by enforcing bans on alcohol, mingling between unmarried men and women, and worship of religions other than the officially approved strain of Islam) and to promote virtue (e.g., by enforcing the five daily prayer times). Saudi Arabia subjugates all of its people, but a special living hell is reserved for women. Saudi Arabia’s sharia legal system seems calculated to terrorize the population into submission. The law exacts severe, medievalist punishments. For “blasphemers,” public flogging. For “adultery” — an endlessly elastic term — a woman can be sentenced to death by stoning. For theft, the criminal’s arm will be amputated. For some kinds of robbery, the punishment is “cross amputation”: cutting off the thief’s right hand and left foot. The Saudi regime beheads criminals in public squares. Saudi Arabia subjugates all of its people, but a special living hell is reserved for women. The Saudi regime’s so-called guardianship laws infantilize women. Women may not leave home without a male chaperone, known as a guardian. The guardian is usually a male relative — a husband, father, brother, even a son. Consider what that looks like day to day: Do you want to go to the bookshop? Meet friends for lunch on your day off? What about getting a job? Or going to university? Getting married? Only if your guardian permits it. To hell with what you want. To hell with what you judge best for your life. The subordination of women reflects the Saudi regime’s Islamist nature. Two examples underscore the regime’s religious totalitarianism. One is the newly lifted ban on women driving; another, the regulations on women’s dress and conduct in public. Why prohibit women from driving? Consider some of the rationalizations. Some Saudi clerics have claimed “it was inappropriate in Saudi culture for women to drive, or that male drivers would not know how to handle having women in cars next to them.” Others argued that “allowing women to drive would lead to promiscuity and the collapse of the Saudi family. One cleric claimed — with no evidence — that driving harmed women’s ovaries.” The leaders of Iran, the Taliban, and the Islamic State (or ISIS) share the same view of women: temptresses who by their mere presence incite men to debauchery, but who are acceptable as vessels for bearing children — so long as they’re covered up in public and segregated from men. This is precisely what the Saudi regime requires of women. In public places, men and women are segregated. In the name of piety and modesty, women are required by law to wear a religious veil. They are also generally expected to wear sack-like black gowns that obscure their figures. Instead of standing alongside and speaking out in the name of Saudi Arabia’s many victims, American policy sells them out. Failure to comply can lead to punishment. When a video clip of a Saudi woman strolling down a street in a miniskirt and crop top made its way online, the police tracked her down and arrested her. The video — and the story of her arrest — went viral. The fact that she was arrested elicited shock and dismay around the world. Perhaps because of that embarrassing media coverage, the Saudi authorities decided to release her without charge. That incident epitomizes the Saudi regime’s distinctive union of religion and monarchy. It captures not only the Islamist zeal to dehumanize women, hide them behind veils, and make them dependent on their “guardians,” but also the arbitrariness of a dictatorship, a regime under the rule of men, not laws. It is this deliberate, methodical subjugation — especially of women — in Saudi Arabia that US policymakers should decry, oppose, and hold against the Saudi regime. But, apart from some occasional rhetorical gestures, they look the other way. Instead of standing alongside and speaking out in the name of Saudi Arabia’s many victims, American policy sells them out. And it betrays our ideal of freedom — a fact writ large in the story of one Saudi dissident. Let me introduce you to Raif Badawi, 34, a married man with three children. He used to be a writer and blogger. In a society with pervasive censorship and thought control, his choice simply to express his ideas required immense courage. Lately, I read a short book of Badawi’s collected articles and blog posts. Encountering a writer with the views he holds was not only bracing, but it was also a moving experience — mainly because I know what he’s suffering today because of his writings. If his articles had been published in, say, the New York Times or the Wall Street Journal or Vox.com or National Review, they would fit within the bounds of public discourse, standing out, perhaps, mainly for their frankness. But in Saudi Arabia, they were explosive. The Saudi regime shares essentially the same worldview — a totalitarian society shaped by Islamic law — that animates the Islamist movement across the globe. The premise underlying such a political system is that human beings are “mature enough and capable of making [their] own decisions and deciding [their own] future without external guardianship.”6 It is a premise not merely absent but opposed in Saudi Arabia. Moreover, Badawi objected to the infantilization of women and called for them to be treated as equals of men, thus striking at one more Saudi taboo. Bear in mind that Badawi’s arguments often invoke Koranic verses to justify his viewpoint. This indicates a degree of respect for Islam. The salient theme of his essays is the call to separate religion and state in Saudi Arabia. That’s different from demanding that everyone repudiate Islam (though some might do so, if the regime somehow stopped indoctrinating its citizens and punishing impiety). I stress this point, because it’s material to the accusation leveled against Badawi. For expressing his own views of what society should look like, for voicing criticisms of the Saudi regime, Raif Badawi was accused of “apostasy.” This is the crime of consciously abandoning the religion of Islam. In Saudi Arabia, it carries the death penalty. Raif Badawi faced a death sentence. He narrowly avoided that fate. His reduced sentence? One million Saudi riyals (about $250,000). The punishment was calculated to shut down dissident voices, intimidating into silence anyone else who might dare speak out. This parallel is a reminder that the Saudi regime shares essentially the same worldview — a totalitarian society shaped by Islamic law — that animates the Islamist movement across the globe, a movement the Saudis have encouraged and funded. It’s crucial to understand that the prosecution, sentencing, and punishment of Badawi was no miscarriage of the Saudi legal system. On the contrary. This is what it looks like when the system works. Because of the “many pressures placed upon them,” Badawi writes, his wife and three children were forced to emigrate from Saudi Arabia.8 They now live in Canada. His wife, Ensaf, actively campaigns for her husband’s release in the media, in the halls of parliament buildings around the world, and through the Raif Badawi Foundation. Badawi’s remaining hope is that he might be granted a pardon by royal decree. Badawi is precisely the kind of freedom-seeking dissident who deserves our moral support. And yet when President Trump visited the Kingdom of Saudi Arabia in 2017, he uttered no criticism of the Saudi regime’s subjugation of individuals. Not a word about the fate of any dissidents or political prisoners, many of whom face execution under a legal system that flouts the principle of rule of law. Not a word about the pervasive infantilization of women. Not a word about the abhorrent treatment of Raif Badawi. None. The failure meaningfully to speak out for freedom and freedom-seekers is no oversight. Nor was Donald Trump the first president to evade the Saudi regime’s fundamental hostility to human life and freedom. The president conformed to a wider pattern in American Mideast policy. There’s a through line in America’s approach not only toward the Saudi regime, but to the entire Middle East. In various ways, our approach disregards the need for objective judgment. 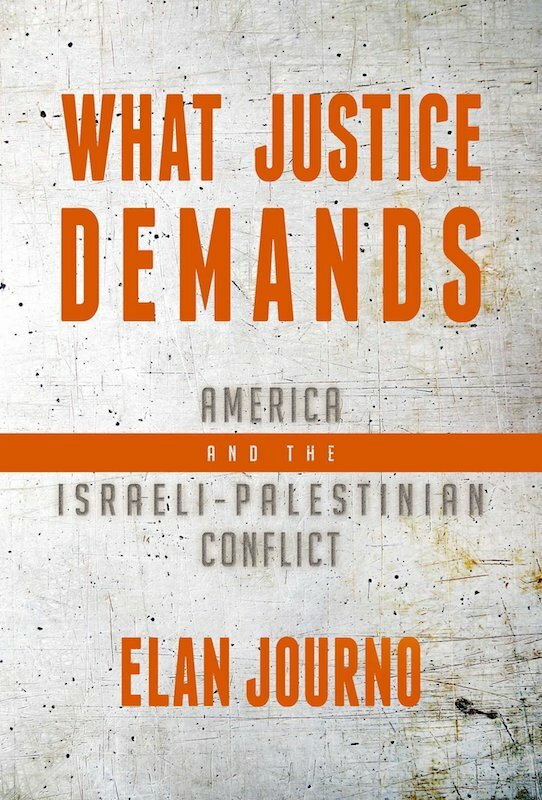 That’s a crucial point that I illustrate in my new book, What Justice Demands: America and the Israeli-Palestinian Conflict. One of the chief problems of America’s approach to that conflict is the failure properly to judge the adversaries by our own moral standards and define a policy that aligns with our evaluations. What’s missing from our entire approach to the Israeli-Palestinian conflict — to Saudi Arabia, to the entire Middle East — is recognition of the fundamental moral distinction between freedom and tyranny. We should use the principle of freedom to guide our evaluation of regimes, movements, developments. US policy for years has blurred the stark moral inequality between Israel — an essentially free society — and the Palestinian movement and its anti-Israel allies. To do that would mean that we uphold freedom and individual rights consistently across time, in every situation — rather than haphazardly, or only when it suits us, or only in some cases. In reality, however, America’s approach is haphazard, unprincipled, at times amoral. For example, US policy for years has blurred the stark moral inequality between Israel — an essentially free society — and the Palestinian movement and its anti-Israel allies. We turn a blind eye to the character of the Palestinian movement, with its commitment to authoritarianism and war-making against Israel, on the notion that whitewashing it can somehow hasten peace. By doing so, we sell out a free society, Israel, and the genuine freedom-seekers (however few remain) among the Palestinian community. The same pattern can be traced in our approach to the Middle East. Our political leaders not only disregard the moral difference between freedom and tyranny, they sell it short. Instead of denouncing, ostracizing and shunning the region’s monarchs, dictators, authoritarians and theocrats, we cozy up to them and grasp at any opportunity to see them as latent or actual “reformers” — whatever might rinse off the blood stains. For example: Prior to the outbreak of civil war in Syria, American diplomats sought to befriend Bashir al-Assad, who was then supposedly committed to reforms, and we actually re-opened the American embassy in that country. Yes, that Assad, the one who was always a brutal dictator and who’s now infamous for deploying chemical weapons against his own people. Or consider the Obama administration’s pursuit of a nuclear deal with Iran. Whatever you think of that now-defunct agreement, the diplomatic initiative to reach the deal was predicated on evading both Iran’s nature as a leading jihadist regime and its vicious subjugation of its own people. Those facts, amply documented in State Department reports for years, were put aside, and Iran was treated as a legitimate, civilized regime. The shameful US-Saudi alliance is one more case in point. We turn a blind eye to the character of the Saudi regime, with its commitment to religious tyranny. Which explains some of the motivation behind the adulation heaped upon the Saudi crown prince. It’s true, as we’ve seen, that he has enacted several notable changes, including the reopening of movie theaters (subject to government censors) and the lifting of the ban on women driving. Some of these changes promise to have a positive impact on the lives of Saudi people. Despite his stated aim of remaking the country’s future, however, notice what’s taken as unchangeable — the centrality of Islamic law — and what’s conspicuously absent — intellectual freedom, the freedom of speech, the rule of law. Indeed, the crown prince himself, the celebrated “reformer,” has exercised the same authoritarian powers that characterized other Saudi monarchs. Last November, apparently as part of the machinations to solidify his hold on power, he lured hundreds of businessmen, many of them members of the royal family, and imprisoned them at a Ritz Carlton hotel in the capital, Riyadh, in what the regime called an anti-corruption campaign. Most have since been released but they are hardly free. Instead, this large sector of Saudi Arabia’s movers and shakers are living in fear and uncertainty. During months of captivity, many were subject to coercion and physical abuse, witnesses said. In the early days of the crackdown, at least 17 detainees were hospitalized for physical abuse and one later died in custody with a neck that appeared twisted, a badly swollen body and other signs of abuse, according to a person who saw the body. . . . Many were prevented from contacting their lawyers, but Prince Alwaleed spoke weekly with some of his managers, his associates said. He remained out of public sight until January, when the royal court allowed a journalist from Reuters to interview him in the Ritz to counter a BBC report that he was being kept in a cell-like room. To all appearances, the prince was seeking to neutralize rivals and strip them of their wealth. Perhaps the most alarming aspect of this incident was the government’s insistence that the investigations of these captives was carried out “in full accordance to Saudi laws.” To the extent that this is true, it’s a stark reminder of the regime’s profound authoritarianism. We need to recognize the fundamental moral divide between freedom and tyranny. In other crackdowns, the regime has arrested a number of dissidents and activists. One sweep took place just weeks before the lifting of the ban on women driving, and among those detained and held incommunicado were several activists who had long campaigned against the driving ban. Recently, Samar Badawi, the sister of Raif, and another rights activist were detained. And in the case of another activist, Israa al-Ghomgham, arrested for nonviolent protest, the regime has called for the death penalty. The eagerness to embrace the crown prince as a reformer suggests a sordid motive: making him and his regime appear better than they are. Doing so cannot alter the facts, and it makes us accessories to the injustices committed against Raif Badawi — and other freedom-seekers like him. To begin to understand why America’s Mideast policy is such a deplorable mess, I argue in my book, look at the pervasive failure to engage in moral judgment of regimes and movements. If we are to properly define and attain our interests in the region, and if that part of the world is to reach a brighter future of freedom and progress, one step is indispensable. We need to recognize the fundamental moral divide between freedom and tyranny. We should uphold the ideal of freedom and lend our moral support to genuine freedom-seekers — and stand against the region’s tyrants, dictators and theocrats. Raif Badawi, 1,000 Lashes: Because I Say What I Think, trans. Ahmed Danny Ramadan, ed. Constantin Schreiber, Lawrence Krauss, contrib. (Vancouver: Graystone Books, 2015), 1.